The Lego Museum. Bring ANY Lego creation for others to admire. Or preferably all of the above! Do you want to display your newest Custom Creation? Do you have a fire-breathing wookie driving a tractor? What about that new lego house you built? No custom creation is too big, too small, too crazy, too simple. Bring it along. 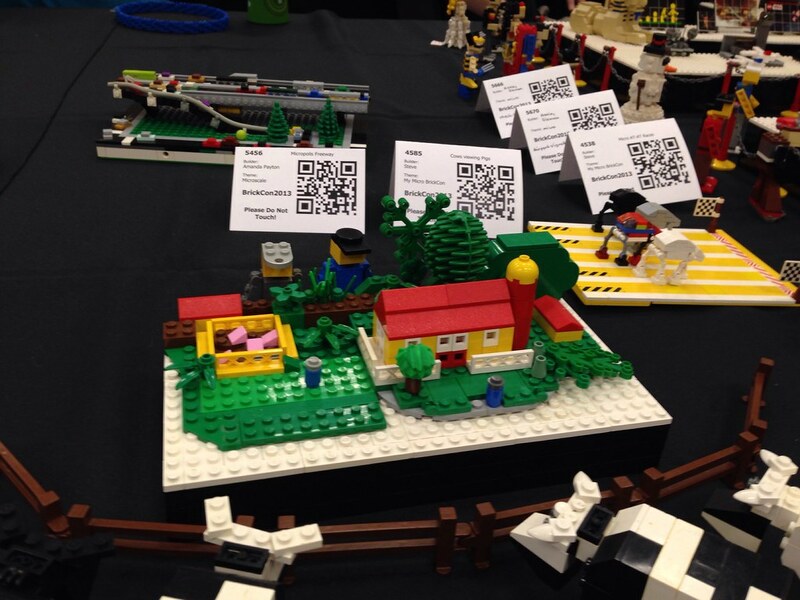 Multiple tables will be setup in the Lego Lane for exhibiting your Custom Lego Creations. You can bring up to 2 lego creations per child. These are meant to be “no touch” creations. We will put out “Please don’t touch” signs. We will have 2 parents watching and assisting and doing our best to guard against damage to the creations in the Lego Museum. Please note: However small hands are fast, so please choose your exhibit wisely and counsel your child on the practicalities of exhibiting their creations in a public space. If you want us to make a placard/sign for your creation be sure to signup in advance. Signup is optional. Let’s collaboratively build a huge Lego creation! A city made of community tiles. The 2019 theme is “Lego Cityscape”. Bring your creation on a base plate of 16×16 or 32×32 studs. If you keep to those dimensions we’ll be able to make any creation work in the city. You can make one 32×32 base plate out of 4 joined 16×16 base plates. 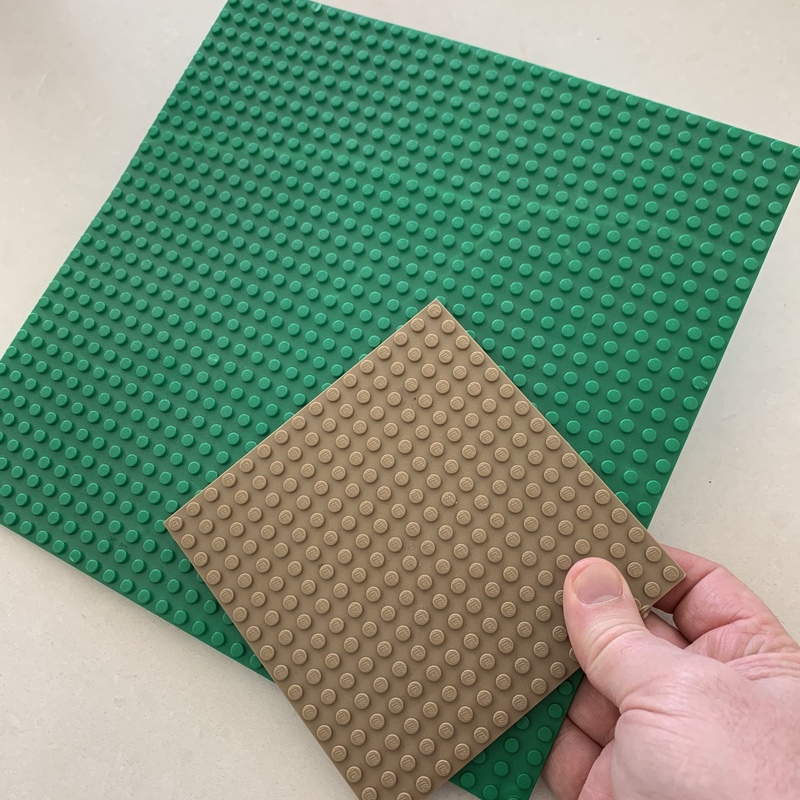 You can also use 8×16 stud blocks to assemble a larger 16×16 or 32×32 base plate. Build your creation on top of this base plate. The creation can be as high as you want vertically. Your creation must stay within your city square. If it pokes out the side of the city block it may not fit in the larger communal city. There is flexibility on this rule within reason, for instance maybe you make a construction crane that towers over other city blocks from a height. Although the theme is Cityscape, feel free to be creative within the theme. Here are some ideas to get you started: Building, construction crane, city park, wooden hut, road with cars, pit with trucks, train station. In the Lego Pit, we’ll allow free play/build. This pit requires donations of lego from our community members. Come on, surely you’ve got hundreds of pounds of Lego, can’t you spare a little? !